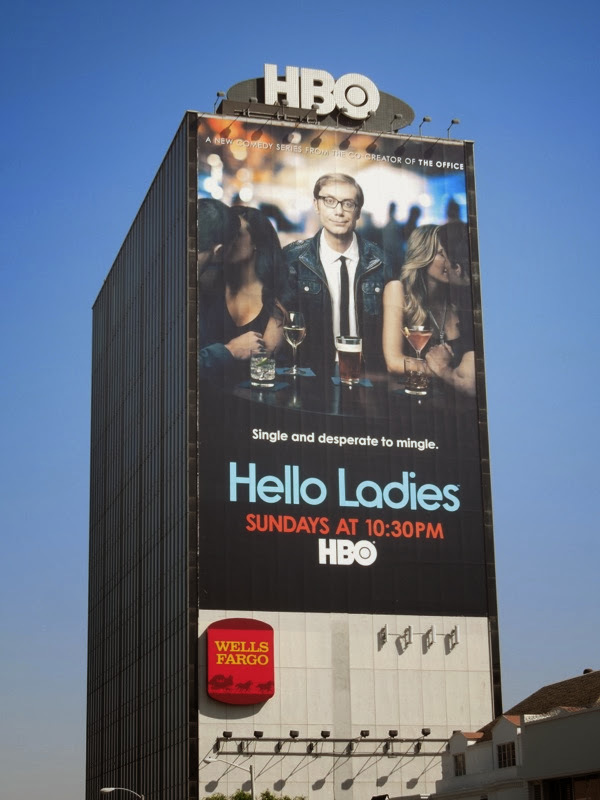 Hello Ladies (and gents), now it's time for the other half of the comic genius behind the British version of The Office and Extras to shine, as Stephen Merchant steps out from behind the shadows (and ego) of Ricky Gervais. 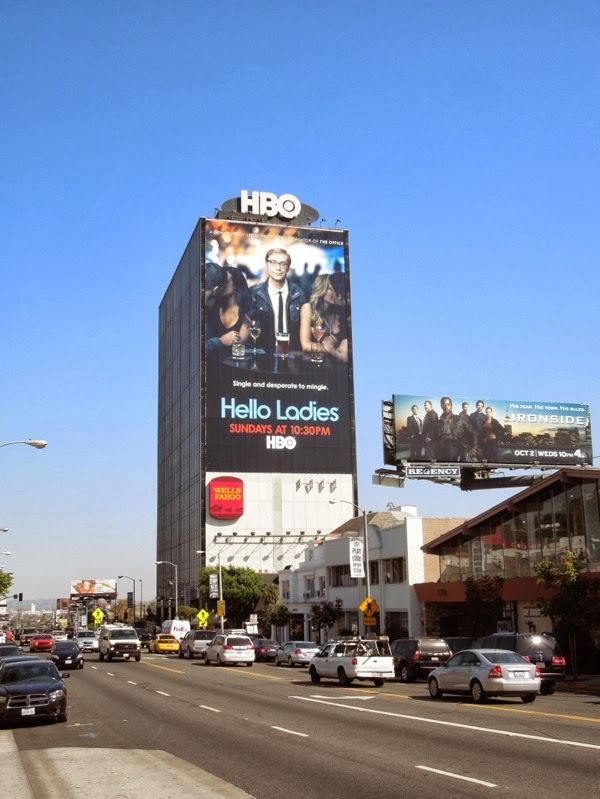 In this new HBO comedy the gawky Englishman, in his first starring role, comes to the looks conscious and fame obsessed L.A. to find the girl of his dreams, he's single and he's desperate to mingle. 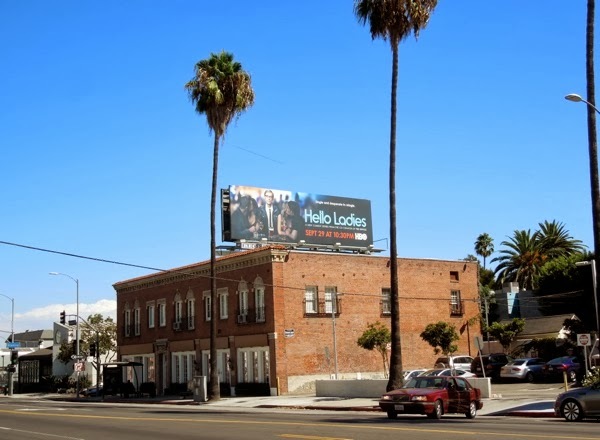 These fun ad creatives perfectly help convey what it must be like for a socially awkward outsider trying to find romance in the city of beautiful young things who all want to make it (and make out) in Hollywoodland. 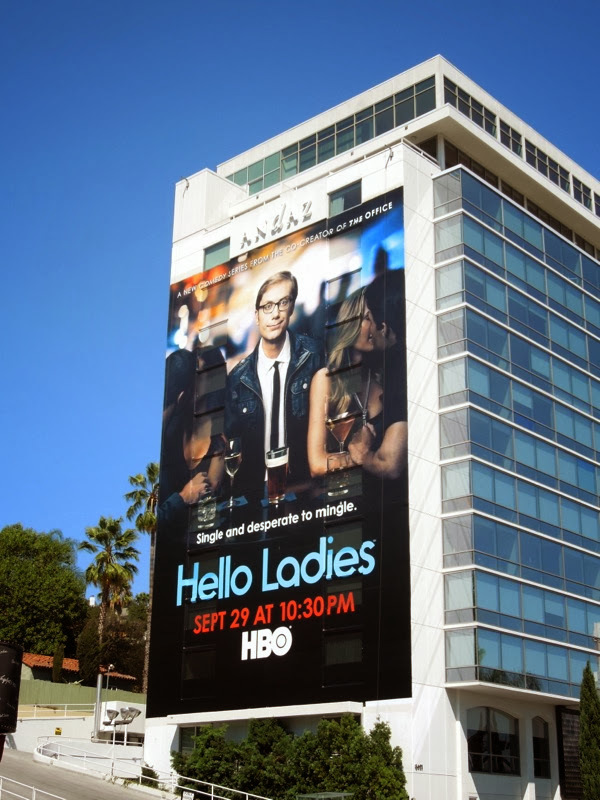 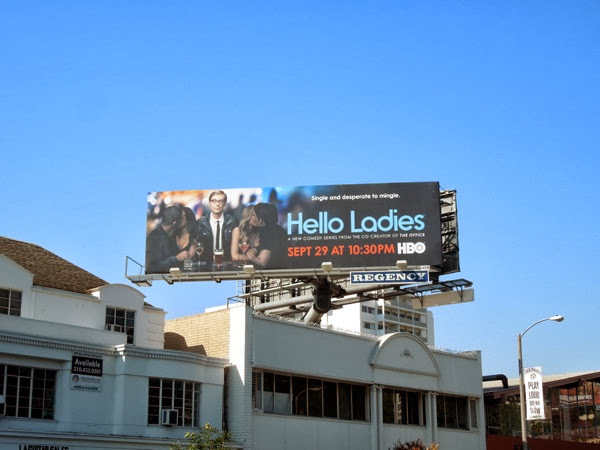 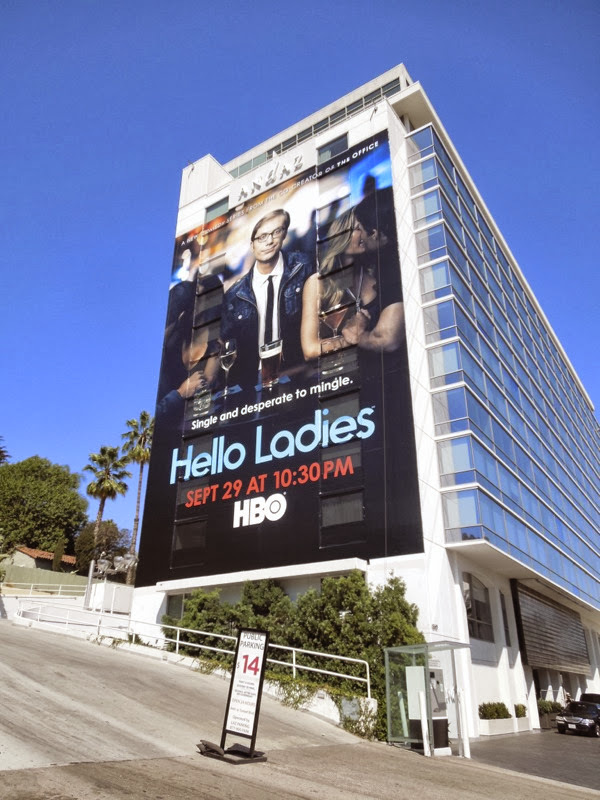 The standard landscape series premiere billboards for Hello Ladies first starting appearing along Sunset Boulevard around September 4, whilst the giant-sized version on the side of the Andaz Hotel along the Sunset Strip in West Hollywood was snapped on September 12, 2013. 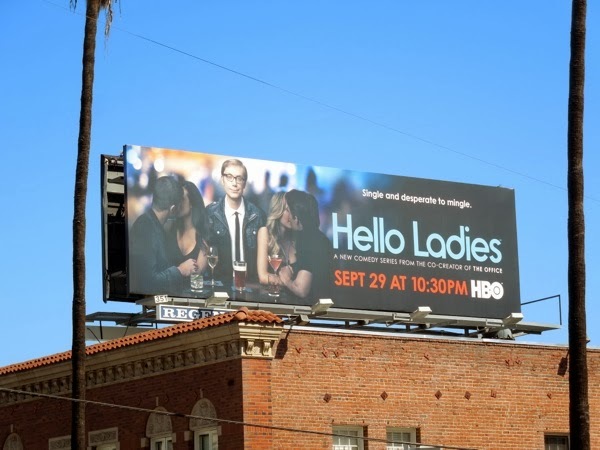 Only time will tell if Stephen Merchant's first solo on screen adventure will be a success, or whether he should stick to collaborating behind-the-scenes with Ricky Gervais. 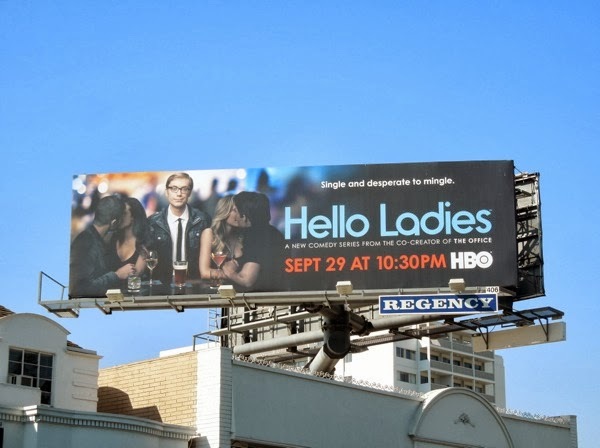 UPDATED: Now that the first episode of Hello Ladies has aired, what do you think? 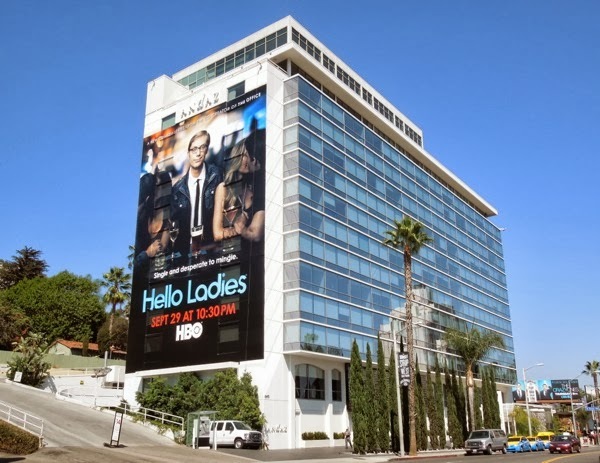 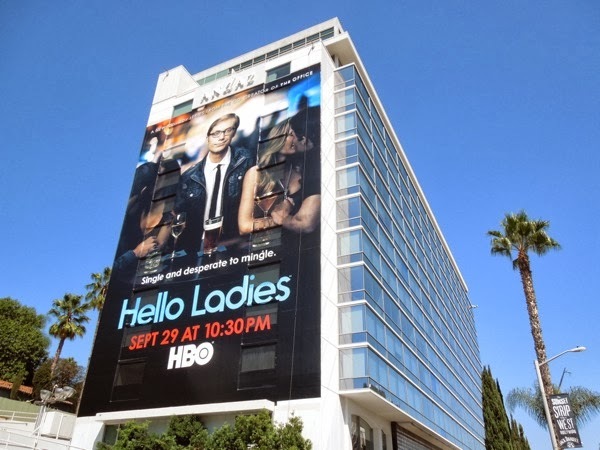 As a continued show of support for the freshman comedy series, Hello Ladies trades places with the billboard for Eastbound & Down's fourth season and switches from the side of the Andaz Hotel to another giant ad site towering over the Sunset Strip further west on October 4, 2013.